In our previous installment, I explained the origins of IAaFF and also the circumstances surrounding why it didn’t quite come off as originally intended. For those whose memories need refreshed, however, I had received a box of seven movies in the mail – with no advance idea of what I was getting – and I had planned to watch them over one long weekend, turning the whole thing into a sort of homebrew film festival. Midway through, however, my wife broke her leg, and that, along with some other happenstance, meant that it was more than a month before I was able to come back and finish the festival off. After things had settled down enough that I had the chance to watch movies again, I managed to fit the remaining four IAaFF films into a second long weekend. Things were rough in-between the first weekend of IAaFF and the second, so I decided to ease back into things with another evening showing, this time of the Mario Bava sword-and-sandal (only it’s Vikings, not Greeks, so maybe sword-and-helmets) epic Erik the Conqueror. While I am a fan (of course) of Mario Bava, I had, prior to this, only seen his more well-known gothic and giallo films, and I was curious – and even concerned – about whether or not I would even be able to tell that Bava was behind the camera. As if he was aware that he was working outside the sandbox with which he would become almost inextricably linked, Bava packs every possible scene of Erik the Conqueror with all of the stylistic touches that we have come to expect. While the battle scenes are mostly outdoors and shot more-or-less naturalistically in bright daylight – even when it’s supposed to be nighttime – the sequences that take place in the “land of the Vikings” are lavished with beautifully-wrought and wonderfully theatrical sets, Bava’s signature candy-colored lighting and all the gothic atmosphere that you could ask for. 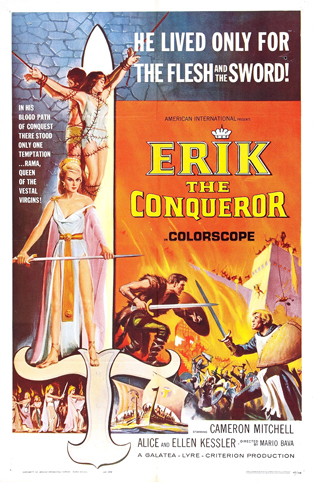 As someone who has probably seen more less-than-stellar Italian sword-and-sandal movies and historical epics than I have genuinely good ones, Erik the Conqueror is also filled with little reminders of why Bava is a legend. A sequence in which some guards are betrayed shows how his use of colored gel lighting is more than just a stylistic flair, as a red glow on a spilled pitcher of wine illustrates the entirety of the situation without the need for a single word of expository dialogue. Honestly, though, the whole movie would be worth the price of admission for one particularly impressive scene involving arrows and a tower, which would have been right at home in a wuxia film. You’ll know it when you see it. With any film festival, there’s bound to be at least one picture that isn’t to my particular tastes, and in the case of IAaFF, that film was 2011’s The Scarlet Worm, which I watched at the beginning of Day Four. That’s not to say that I hated my time with this overlit-yet-morally-murky western, or that I couldn’t find things to enjoy in its tale of a hired gun who sees himself as an artist of murder looking to finally “paint his masterpiece,” the uncouth young apprentice he is forced to train and the powerful men who pull their strings. It would be easy enough to accuse The Scarlet Worm of pretension – the opening voice-over narration says that “God is a circle,” there is the overlong metaphor from which the film gets its title and the chapter breaks are called things like “Ensoulment” and “Curettage”—but any pretensions the movie might pack actually feel appropriate to its central character and his obsession with poetry and style. There are plenty of things that pulled me out of the movie. The line readings often felt like dramatic reenactments, while the sets smacked of modernity, including what looked like an out-of-focus chain link fence in the background of one shot. The Scarlet Worm’s efforts at moral ambiguity also make it difficult to read at times. It would be easy to fret that the movie was going to turn into an anti-abortion screed, if the people making the anti-abortion arguments weren’t all hypocritical killers acting in bad faith. Ultimately, I think my problem with The Scarlet Worm was very simply that, for all our protagonist’s fixations on style, the movie had little enough of its own. I watched The Scarlet Worm in the morning of the fourth day of IAaFF and chased it with My Friend Dahmer that afternoon. Before sitting down for the festival, My Friend Dahmer was literally the only movie on the docket I had heard anything about and what I had heard was that it was a strange, haunting film. I was not led astray. From its title and logline, I had expected My Friend Dahmer to focus more on the relationship between the young Jeffrey Dahmer (played by Ross Lynch) and John “Derf” Backderf (Alex Wolff, who horror fans will no doubt recognize from this year’s indie hit Hereditary) – creator of the graphic novel from which the movie was adapted. 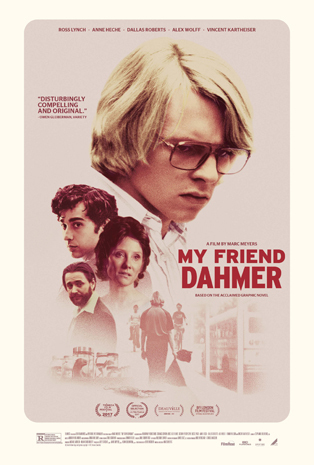 But My Friend Dahmer is happy to surprise and possibly even frustrate those who come to it for its “making of a serial killer” logline, choosing instead to focus its attention on the more quotidian tragedies of teenage life. Even as the movie orbits Jeffrey Dahmer’s inner life, playing on the audience’s knowledge of his later atrocities to freight otherwise underwhelming moments with menace, it juxtaposes his descent into monstrosity against the normal trials and tribulations of high school, resulting in a piercing and provocative take on the typical “last year of school” picture. Part character study, part cautionary tale about the dangers of the kind of proto-edgelord (before we had that name for it) behavior that so many of us engage in during our teenage years, part inevitable tragedy, the film’s portrait of a troubled soul – and the people who, by turns, ignore, neglect, take advantage of and, most of all, simply don’t see him – is, indeed, a haunting one. Unfortunately, it was also a bit of a dud. Chalk it up to the fact that, for a movie that’s supposed to be about women, there’s not a single one to be found among the five directors or no less than ten credited screenwriters. As such, it shouldn’t be too surprising that The Witches doesn’t have a whole lot that’s novel (or flattering) to say on the subject. Of the five short subjects, the first, “The Witch Burned Alive,” is also probably the most straightforward – one of a couple of domestic vignettes, in this case dealing with the perils and prices of celebrity. It is also the only one of the bunch that isn’t overtly comic in its presentation. The next feature, “Civic Spirit,” takes a much lighter tone, as will all the pieces that follow. Given that Pier Paolo Pasolini (in)famously directed Salo, or the 120 Days of Sodom, it should come as no surprise that his segment is weird, with the fairy-tale bright colors of the main actors juxtaposed against a backdrop of dilapidated buildings. Also weird is the fourth segment, “The Sicillian Belle,” which feels about five minutes long, as a woman tells her father an exaggerated tale of a man hitting on and then abandoning her, and her father proceeds to kill the man’s entire family. 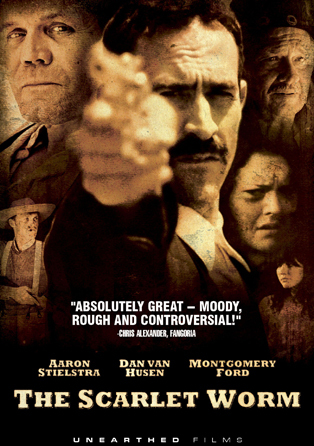 None other than Clint Eastwood shows up in the film’s final segment, as the handsome but dull husband of a woman who feels bored in her marriage, and who spends the evening engaged in elaborate cinematic fantasies, including a brief appearance by Eastwood in full gunfighter regalia, a nod to his roles in Sergio Leone’s “Dollars Trilogy” in the years before. 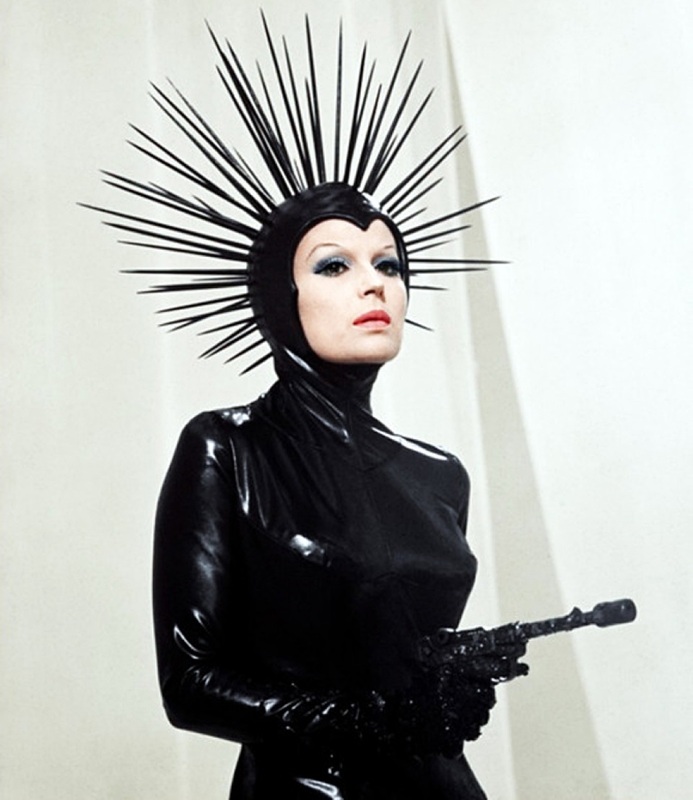 All of the segments share a star in the form of Silvana Mangano. 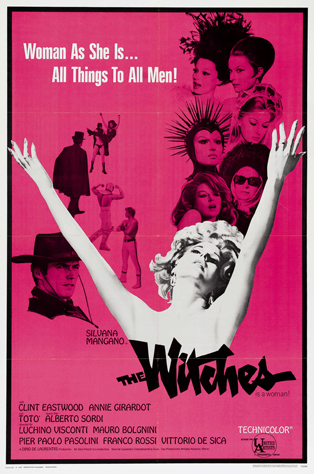 And, of course, as an Italian film from 1967, there’s no shortage of style in The Witches. It even features a breezy score by none other than Ennio Morricone, working with Piero Piccioni. Unfortunately, without more substance to underly the style, the whole production felt dated and listless and often unsatisfying. Luckily, “listless and often unsatisfying” doesn’t describe this little experiment in homebrew film festivals, even if “ill-starred” just might. While not every movie I watched was exactly what I was hoping for – how can they ever be? – I had more fun than I was expecting to, and should the opportunity for a second IAaFF ever present itself, I hope I can actually manage to fit it all into one weekend next time.